People in Hoboken who suffered a serious injury or the death of a loved one because of another’s negligence often need help to put their lives back together. Fortunately, they may be able to obtain compensation for their medical expenses, lost income, pain and suffering, emotional distress, and other costs and damages. Although NJ law provides for this type of compensation, it requires that plaintiffs—the injured parties—prove that the other party was legally negligent and that the negligence directly caused the injuries. In some cases, proving negligence is relatively straightforward. In others, however, plaintiffs need to quantify the non-specific losses. This means assigning a dollar value to emotional distress or pain and suffering. This challenge makes it critical to have a knowledgeable and experienced Hoboken personal injury lawyer who knows how to build strong and persuasive cases. At Blume Forte Fried Zerres & Molinari, our New Jersey personal injury attorneys have been helping people in Hoboken and throughout the state obtain compensation after they were injured as a result of negligence. Our NJ law firm has a stellar record of accomplishment in these matters. In fact, we have won more million-dollar verdicts and settlements than any other firm in New Jersey. Call or email us to learn more about our law firm and how we might help you with your injury case. We have two offices conveniently located in Hudson County: Jersey City and North Bergen. Why Hire Our Law Firm for Your Hoboken Personal Injury Claim? Experience: We have been helping people in Hoboken and throughout the state since 1929. 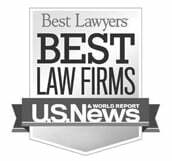 Reputation: Our lawyers and our firm have been recognized in a variety of national legal ranking publications, reflecting the high regard of our clients and fellow attorneys. Success: We have obtained more multi-million-dollar awards for our injured clients than any other law firm in New Jersey. Determination: We believe that each case is unique. We will build your case from the ground up so that we are fully prepared if the matter proceeds to trial. We do not back down in the face of large insurance companies or corporate defendants. Personal attention: We involve clients in all aspects of their cases, making sure that they are informed of new developments and are well-positioned to make sound decisions about the matter. Knowledge: Many of our lawyers are certified in Civil Trial Law by the Supreme Court of New Jersey, reflecting their in-depth knowledge and high standards. 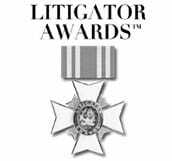 This certification is awarded to only a very small percentage of attorneys in the state. Our Hoboken personal injury attorneys welcome your inquiries. To learn more about us and how we can help you obtain full compensation after an injury caused by negligence, call Blume Forte at (973) 635-5400 for your free, no-obligation consultation. Talk to one of our experienced Hoboken attorneys and learn how we can help you obtain the compensation you need and deserve. Hoboken, founded in the 17th century, had a 2010 population of about 50,000, representing a substantial increase over the population of 38,577 reported in the 2000 census. However, this was not the largest population ever recorded in Hoboken; the 1910 census reported a population of 70,324. Hoboken is known for several firsts, including the first recorded game of baseball in 1846. It is also the birthplace of singer Frank Sinatra, and there are several streets, parks, and memorials named for the star. Hoboken, like several of its neighboring communities, began to decline after World War II, but it never hit rock bottom. Because of mass transit to lower Manhattan, Hoboken became a destination for artists and urban pioneers seeking cheaper housing costs and the opportunity to buy historic houses that were unaffordable in Manhattan. Since many Hoboken residents work in Manhattan, it is not surprising that Hoboken has the highest transit use rate in the U.S. People commute to New York City via PATH train, bus, ferry, and water taxi. Because of recent growth in ride-sharing services, the number of people parking on the streets of Hoboken has declined considerably since 2000. There is also a light rail service that connects six communities in Hudson County, including Hoboken, NJ. Hoboken is home to many festivals and annual events, including the Frank Sinatra Idol Contest. The Hudson Shakespeare Company is located in Hoboken, as is Macy’s Parade Studio, where many of the floats used in the Macy’s Thanksgiving Parade in New York are stored. In addition to Frank Sinatra, notable residents have included painter Willem de Kooning, photographers Dorothea Lange and Alfred Stieglitz, Watergate conspirator G. Gordon Liddy, writer Anna Quindlen, and U.S. Senator Bob Menendez.